Like it or not, the year is almost halfway over! Don’t spend another moment unhappy in your job. Here are a few quick tips to sorting out your career happiness. 1. Do I like what I do? 2. Do I like who I do it with? 4. How are you going to achieve these changes? Your options are to either make changes where you are or start looking for something more in line with your goals and values. 5. If you’re going to negotiate in your current role, have a clear plan. Outline your accomplishments over the past year and how much value they brought to your company. If it’s a raise you want, have a number in mind to ask for, don’t just ask for more without getting specific. Make sure that the number is based in reality, in relation to the industry average for your position. Site specific references indicating where you found your salary statistics. If you want other perks; more time off, a flexible schedule, make a case for how you can still be as productive. If you’re asking for more than one thing, negotiate them simultaneously, not individually. 6. If you’ve decided you need to search for a new employer and position, have a clear understanding of what you want to do and who you want to do it with so that you can keep your job search focused. It’s very easy to be attracted to jobs that you’re semi-qualified for when you don’t really know what you want. You will end up wanting something that is not based in your reality, and if you end up taking a role like this, you will soon find yourself looking again because you didn’t satisfy your true needs. 7. Be targeted in your search but exhaust all avenues in a weighted fashion to find the job. This means, while you may search job boards occasionally to see if what you’re looking for is out there, you may need to leverage your personal network to find a contact at a particular organization who can get your resume into the right hands. You can choose to work closely with recruiters who will simplify the search process by submitting you to jobs you’re interested in with their existing contacts. A recruiter may even be able to market your resume to a company they don’t already work with, in an effort to get you seen. Either way, assuming you’re working with a good recruiter who has solid relationships with their clients, you will have an advocate who may weigh in when a client is torn between a few candidates. 8. Be patient. Don’t take a job out of frustration with the job search process or because you just really need a change. Trust that it’s better to wait for what you want, that which you should have clearly defined in the beginning of your search. 9. When you do get an offer, make sure it is clearly aligned with your values and with the skills you’d like to be using. 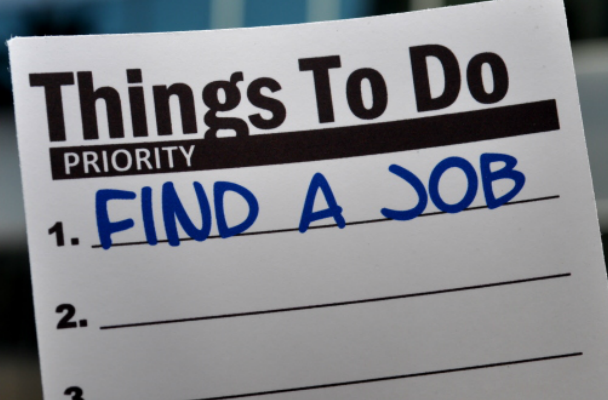 Make a list of everything you want out of a job, from the actual hard skills necessary to be successful in the role, to the values related to your lifestyle and sense of self such as; it offers you more time with your family, it’s a job where you get to be part of the decision-making process, you’ll be recognized more for your contributions and/or have a greater possibility of advancement. Then, in two columns titled “aligned” and “not aligned,” check off how many things on your list of “must-haves” fall into each category for this particular offer. After this exercise, it should become glaringly obvious whether this new role will truly make you happy. Find a more detailed explanation of this exercise here. 10. Believe you have the power to change your situation. It’s easy to feel stuck and feel that a job search is out of your control. The more “in control” you feel and act, the better the chances are that the right opportunity will come and the more clearly you will be able to identify it!